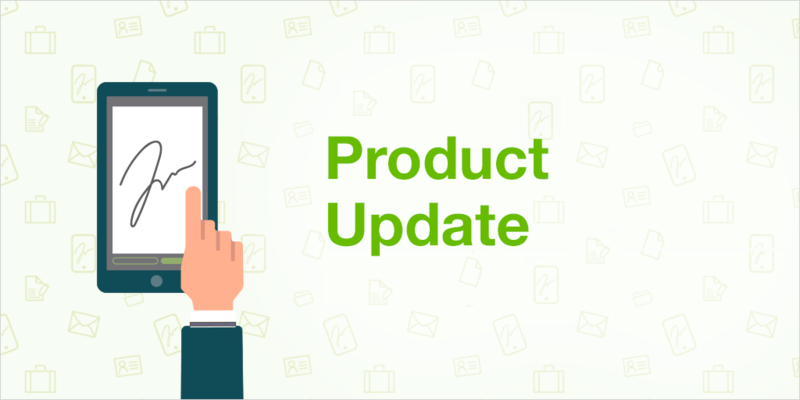 We are going to present a new update loaded with new developments and functional improvements that allow us to perfect our product month after month, often thanks to the opinions shared by users like you. If you want to know all the details of this update do not stop reading this post. In Signaturit we started 2019 with improvements so that both you and your signers enjoy more of our services. We can not stop creating. What’s new at Signaturit? In November, our team developed new features that will help you to speed up transaction times, reduce costs and make signers happier. Below we mention the main improvements introduced this month and offer a more detailed description of each of them in our blog, where we also name other new features that are not yet ready but that you’ll be able to start enjoying at the beginning of 2019. Don't stop reading this post if you want to know the details of these and other improvements we have introduced.